Located only 15 km from the Trento Centro (A22-E45) motorway exit Monte Bondone is a renowned Trentino ski resort, home to the famous “3-Tre” and “Trofeo Topolino”. Given the position and morphology of the mountain, Monte Bondone ski resort is a sun-soaked natural terrace with breath-taking views of the Dolomiti di Brenta and Trento, a lively city rich in history and culture. The 170 acres of The Monte Bondone SKIAREA is made up of wide slopes perfect for skiers of allabilities. 100% of the area is equipped with artificial snow-making technology. 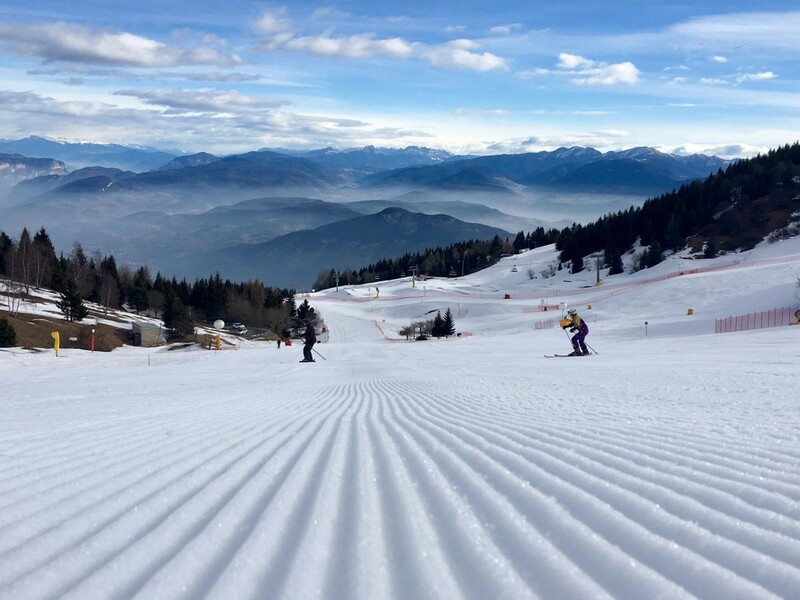 Near to Trento and the main communication links, Monte Bondone is the ideal location for families, children, ski clubs and ski enthusiast who love wide slopes, relaxing atmosphere and lots of fun on the snow of Trentino.